So, if you’re like me, you use any excuse to reference RomComs on the regular. i.e. How to Lose a Guy in 10 Days, AKA the inspo for my title/blog post. I honestly thought I was being really clever so if you don’t think so just let me live and keep reading. TYSM. This is going to be a skincare how-to in reverse. Yes, I am basically quoting the movie at this point. Anyway, I always have people asking me what they can do to make their skin better, improve their skin, change their skin, etc. etc. The truth is, you have to start with the basics. The most expensive products in the world won’t be worth a thing if you don’t treat your skin right from the ground up. So what should you be avoiding? Well little lady (or lad), keep on reading! Yep, big surprise I know. If you aren’t already aware of the dangers of tanning, please point me in the direction of the rock you’ve been living under. It’s pretty common knowledge now a days, yet people still do it. Did you know that the number one cause of hyperpigmentation on the skin is sun exposure? So any freckles and discoloration you may have on your face is probably from that big ball of fire in the sky. In addition to that, it’s the number one cause of aging. That is, of course, besides Father Time. When you’re exposed to UVA and UVB rays (the rays that the sun AND the tanning bed emit) they both do certain things to your skin. UVB rays are known as the “burning” rays. These rays cause your skin to burn and tan. A tan is VISIBLE skin damage, because it’s your bodies way of protecting itself from the rays of the sun. This is what causes discoloration. 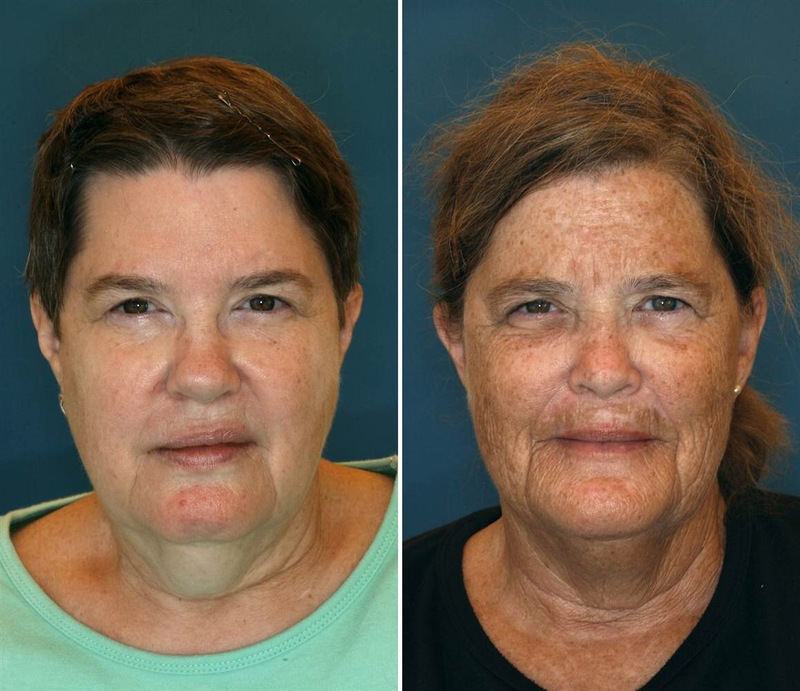 UVA rays are known as the “aging” rays. These rays penetrate deeper into the skin to the dermal layer where all of your collagen and elastin is produced. Collagen = what smooths out your skin and keeps it nice and plump, elastin = what keeps your skin from sagging. When UVA rays penetrate the skin, they weaken the collagen and elastin, causing you to age MUCH faster. No matter WHAT anyone who works at the tanning salon tells you, it is HORRIBLE for your skin. Trust me, I used to tan in the beds and lay out in the sun with no SPF on at all, and I’m already seeing the results of doing so at age 23. I’m just lucky I changed my ways now and not later on. You should be wearing a minimum of SPF 15 on EVERY. DAY. Yes, even when it’s cloudy out. Whenever I’m going over the dangers of sun exposure with my students, I show them the picture below. The man in the photo was a truck driver for 28 years, and since UVA rays aren’t filtered by car windows, he has severe sun damage on just one side of his face. You can see he looks about 20 years older on the left side (aka the driver’s side) JUST due to sun exposure. I know everyone thinks they look better with a tan, but no one looks better with advanced photo aging. Opt for spray tans instead! I know this one also probably comes as a big shocker, but you would be surprised at how many people don’t realize how much these two things affect the health of your skin. There are only a few external reasons for skin ailments; crappy products and sun exposure being the two big ones, but MOST of our skin concerns stem from internal factors. What you put into your body DIRECTLY affects how our skin looks. Have you ever looked at your under eyes and noticed they look hollow and dry? Chances are you’re skimping on your water intake. Is your skin flaky and feels dry, but you’re moisturizing and doing everything else right? You’re probably dehydrated. Skin just looking drab and dull no matter what you do? You guessed it, you probably need more water. Think of the skin, if you will, as a grape. When a grape is filled with water, it’s plump and smooth. When a grape is dehydrated, it turns into a raisin and thus reveals lines and wrinkles. I’m not saying drinking water will make you age in reverse Benjamin Button style, but it will certainly help your case. Doesn’t she look ten years younger?! Her under eyes have filled in and no longer have that crepe-y appearance, her skin tone is much more even, and the majority of her fine lines have been filled in. Our bodies are MAINLY water. You need to be consuming it regularly! If you didn’t already know, exfoliating is the removal of dead skin cells from the outermost layer of skin (aka the stratum corneum). About every 28 days (give or take depending on your age) our skin cells move up from the bottom layer of our skin to the top to replace the old cells. Exfoliating is a VITAL part of your skin care routine no matter who you are, because our skin needs a little help shedding those dead cells that can’t seem to come off on their own. But did you know that you should only be exfoliating about 2-3 times per week? Less if you’re more on the sensitive side, more if you’re on the oilier side. If you UNDER exfoliate, you’re not removing those cells and they just sit on top of the skin. They can form a barrier between your new, healthy skin underneath so your moisturizers and serums don’t work properly. Your skin may appear dull and you may feel like you can never get rid of the flakiness or uneven texture. If this is the case, you probably need to exfoliate more. If you OVER exfoliate, you’re removing not only the dead cells from your skin but also the new healthy ones, along with all of the good oils your skin needs to function properly and retain water. I find the people who are over exfoliating are either A. doing so every single day or B. are using a product that is way too harsh for their skin. Once again, you only need to exfoliate 2-3 times a week. Small concentrations of salicylic acid are okay, but unless you’re on an acne regimen you don’t need to be using a full blown salicylic exfoliant. St. Ive’s apricot scrub? Throw it out. You might as well be exfoliating with glass. Research your products and get samples of the ones you feel work best on your skin. My personal favorites are the Aveda Botanical Kinetics Radiant Skin Refiner if you’re into the gritty type of exfoliant, and the Aveda Botanical Kinetics Exfoliant if you have sensitive skin. I can be rolling in the door at 3 am five long islands deep (or 5 glasses of water deep if my mom is reading this) and you still won’t catch me going to sleep with a full face of makeup on. Sleeping with makeup still on your face from the night is a sure fire way to end up with a whole slew of skin problems. First of all, sleeping with mascara and eye makeup on can cause an infection in your eyes. The product can fall into it when you’re moving around and all you’re doing is pressing it in further as you sleep. It can also break your lashes if you’re not careful, especially if you’re wearing falsies. Second of all, breakouts. Obviously. You’re sleeping with all of your pores closed off to any oxygen with all of that foundation, powder, bronzer, etc. on your skin. Black heads, white heads, and possibly deeper pustules await if you fail to remove your makeup after a long day. Lastly, you age faster. Yep, it’s true. When we sleep, our skin regenerates itself. If we cake on foundation and snooze while it’s on, your skin’s ability to do so decreases exponentially. Your exposure to free radicals goes up, and thus ages us quicker. So for the love of god, just wash it off. No matter how tired you are, it’s not worth the consequences. I’m sure this one is pretty obvious. If you go see an esthetician for regular facials and you’re going home to wash your face with bar soap what’s the point? It’s like if you spend $150 on getting your hair colored and going home and using Suave shampoo. Probably not gonna work out so well. While there are some drug store products out there that work perfectly fine, some are downright terrible for your skin. Harsh detergents and coarse exfoliants will tear up your skin and ruin the acid mantle that keeps it healthy. Even some luxury brands carry products that aren’t ideal for your skin. Don’t assume that every product a beauty blogger or instagram model is hawking is good for your skin. The great thing about this day and age is that there are so many avenues to find the information you’re seeking. The internet is wide with various reviews and product information available whenever you want it. Sephora is great about giving samples for just about anything you want to try! You can’t expect your skin to look and feel healthy if you’re using horrible products on your skin. If you don’t know where to start, I am always willing to help with recommendations OR you should take the time to find an esthetician in your area that can help you directly! Yes, smoking harms your skin (along with every other bodily system that exists, but I digress). Anyone who has taken 7th grade health knows this. But are you aware of the gravity in which it damages your skin? Allow me to tell you…. First and foremost smoking can affect your sleeping habits. Nighttime nicotine withdrawals can inhibit a proper sleep cycle, resulting in dark circles and bags under your eyes. Secondly, your risk for certain skin conditions, such as psoriasis, goes up exponentially. Up to 60% after a decade of smoking, according to a 2007 study. Even just being exposed to second hand smoke can increase this risk. Third, the premature aging. Smoking limits the blood flow that supplies nutrients to the skin and thus slows cell metabolism. Your collagen and elastin gets damaged when you smoke, which is what keeps us looking youthful. Cigarette smoke also asphyxiates our skin which means it has limited oxygen supply, so your skin can appear dull and gray. And lastly (but certainly not least), your risk for skin cancer (specifically squamous cell carcinoma) is about three times higher than people who don’t smoke. Yikes! If you are a smoker, the best way to help with these problems is obviously to quit. I realize that’s easier said than done, but within the first week of quitting you will already be able to see a visible difference. If you can’t get a wrangle on quitting, try using products with antioxidant rich ingredients to help fight free radicals. Vitamin C is a great place to start! Here is a side by side comparison of two twins. One of which smoked for 16 years (and also had more exposure to the sun). Which twin do you think it is? Yep, it’s the twin on the right. You can see the difference between the two is shocking. Yep, this is a huge one. Sleep is absolutely CRUCIAL to the health of your skin. I know I’ve mentioned bags and dark circles, but those are the least of your worries if you can’t get a good nights rest. So many things happen to our skin when we sleep! Sleep reduces cortisol (the stress hormone) which has a direct affect on our skin. If our hormones are out of whack, it can cause a whole slew of problems. One being acenic skin, which is what we all try to avoid. Sleep also helps with cellular renewal which helps reverse damage that we encounter in our day to day lives. Free radicals, which I talk a lot about, are unstable molecules that steal electrons from healthy ones. I know I’m getting a bit science-y, but bear with me. When our skin is exposed to these (via pollution, cigarette smoke, etc.) our skin suffers tremendously. They’re basically super agers *que dramatic screaming* Products with antioxidants can help with this, but you need your sleep for good, healthy skin. I hope that these give you a bit of insight into what you should avoid when taking care of your skin. They seem like very simple and obvious things, but they’re the biggest issues I see with clients on a day to day basis. You might not see the damage of some of these problems right away, but you will after time. The best thing you can do is educate yourself!